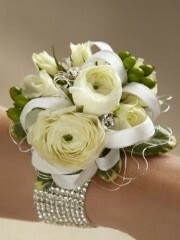 This intricate white wrist corsage looks attractive as part of a whole outfit, as well as when it’s admired close up. The endless layered petals of the white ranunculus really draw the eye and the delicate shades of ivory, green and silver look beautiful together. 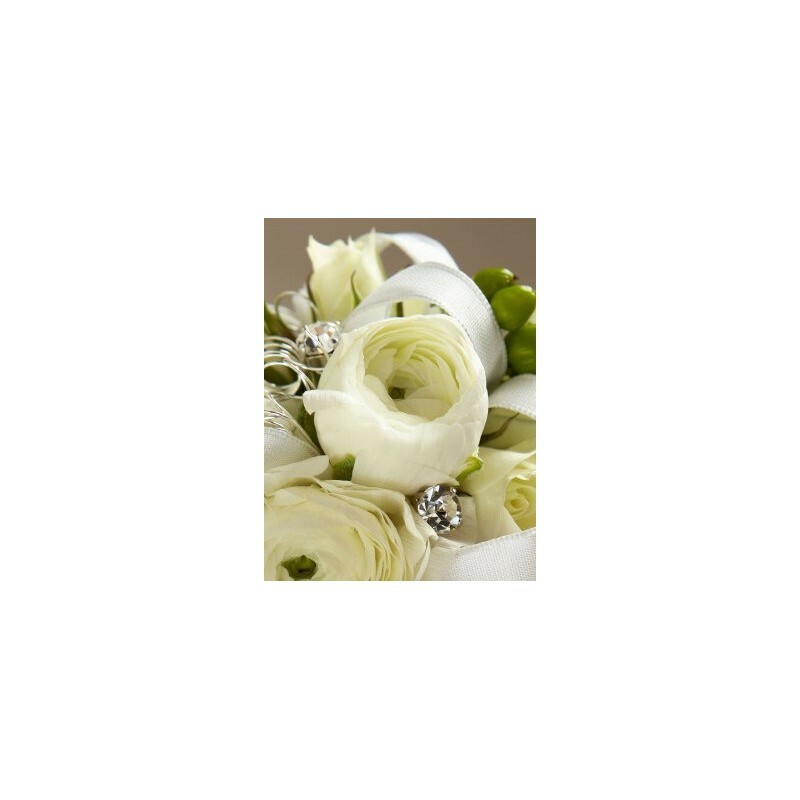 Featuring 2 white ranunculus and 2 white spray roses with green hypericum and variegated pittosporum set onto a diamante bracelet and trimmed with white satin ribbon, silver wire and diamante pins.